I design and build intricate domino setups/chain reactions for your entertainment on YouTube and for commercial projects. To learn more about my work, please visit my YouTube channel and the My Work page. For business inquiries, contact me at Hevesh5@gmail.com. 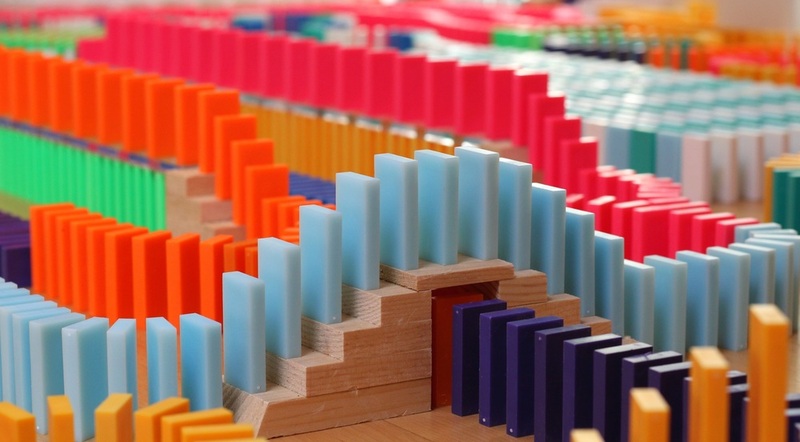 Lily Hevesh is a professional Domino Artist who produces weekly videos on her YouTube channel, Hevesh5, while also doing professional projects for companies, ad agencies, brands, schools, and others seeking Domino Art. Currently she has over 700 million total YouTube views and 2,300,000 subscribers, making her the #1 most subscribed Domino Artist on the web. In addition to creating domino videos on her YouTube channel, Lily has done significant commercial projects for brands including Disney, Marvel, Ford, Honda, LEGO, Pizza Hut, and more. She has worked with Will Smith for the feature film, Collateral Beauty, as well as Katy Perry for the launch of her new album, Witness. Her videos have been featured on NBC, FOX News, Nickelodeon, CNN, CBS, MSN, the front page of Reddit, the front page of YouTube, and other various sources. To learn more about her professional work, please visit the "My Work" page.